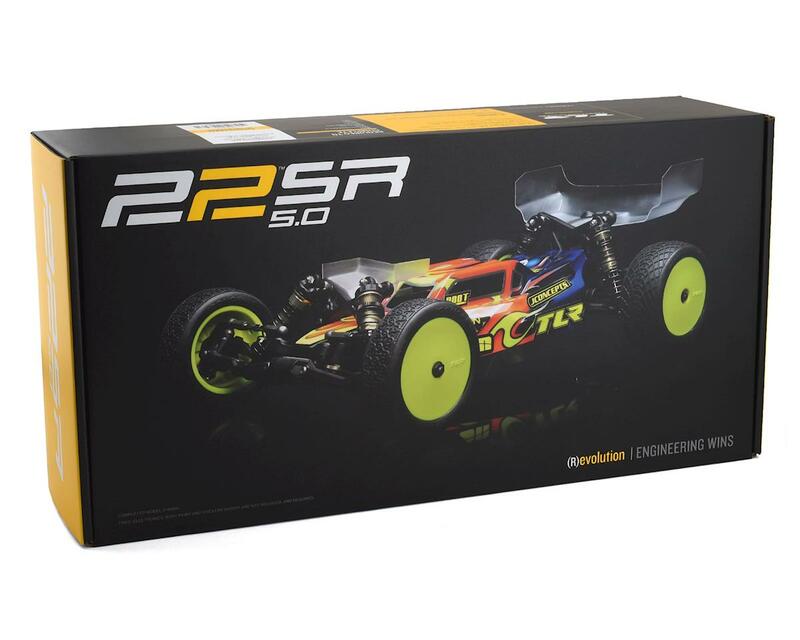 The TLR 22 5.0 SR Spec Racer 1/10 2WD Electric Buggy Kit picks up where the 22 4.0 SR left off. Optimizing the 22 5.0 SR specifically for dirt and clay tracks in the spec racing classes, the setup window has been narrowed and performance maximized. The revised SR driveline with molded composite outdrives and aluminum saver rings, along with ultra-durable small diameter steel drive shafts, creates an ultralight driveline for maximum torque and speed. 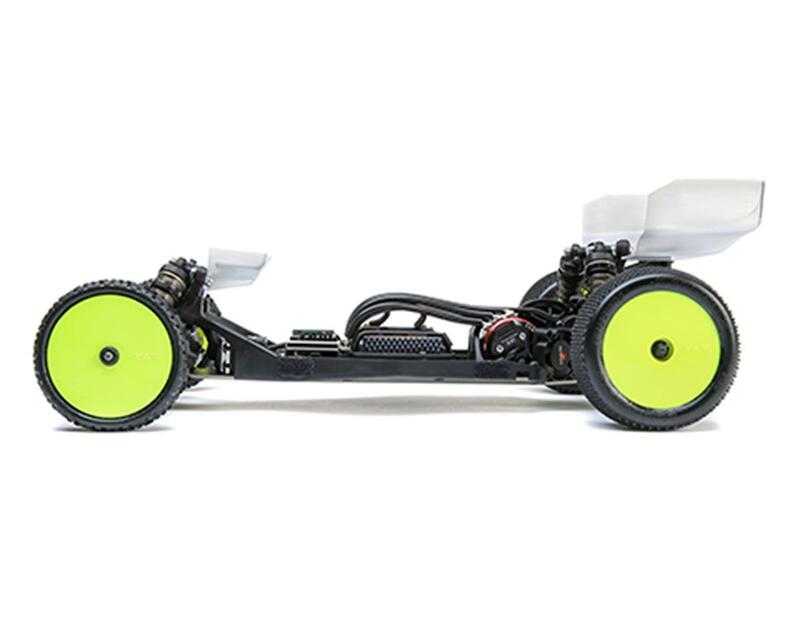 Included is TLR's innovative and maximized Direct Drive System (DDS) with an ultra-light and short layshaft, aluminum spur gear hubs, and a 72T molded spur gear. 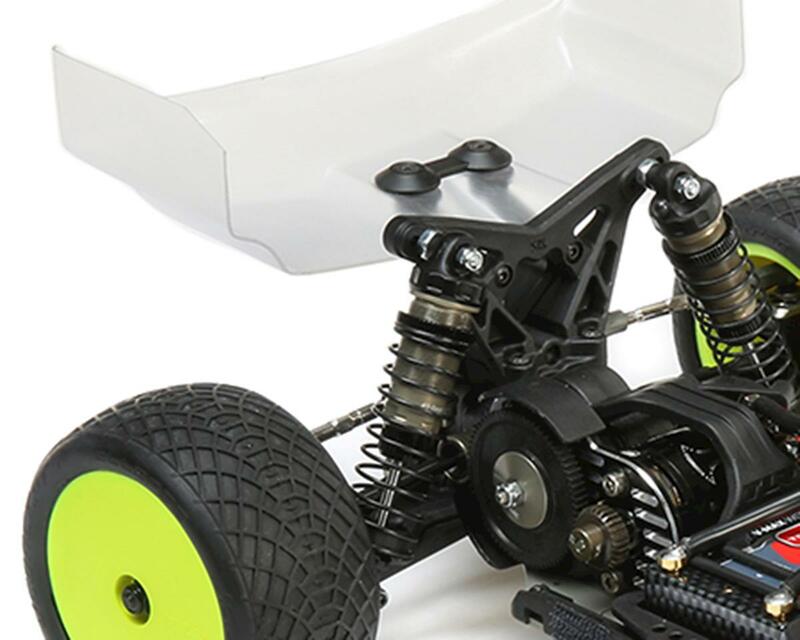 Turning focus to the front suspension, the TLR team found a way to make the 22 5.0 significantly easier to drive while still giving the car more mid-corning steering. Increasing the length of the steering bell cranks and spindle arms, along with changes to the Ackermann angle give the 22 5.0 a significantly smoother steering feel, especially off-center and high speed, while increase low-speed steering for tighter tracks and 180's. Improved SR Drivetrain: The innovative 22 SR differential with the aluminum diff assembly and composite outdrives provide the easiest to maintain and lightest diff system. For the 5.0 SR, we've replaced the composite outdrive rings with longer CNC machined aluminum rings to improve the outdrive durability for today's ultra-high grip clay tracks. Still focused on durability, the 22 5.0 SR has also moved to use the steel SR driveshafts, which have a smaller diameter than the stock steel driveshafts for weight savings, but they offer a substantial increase in durability over the aluminum SR driveshaft option. 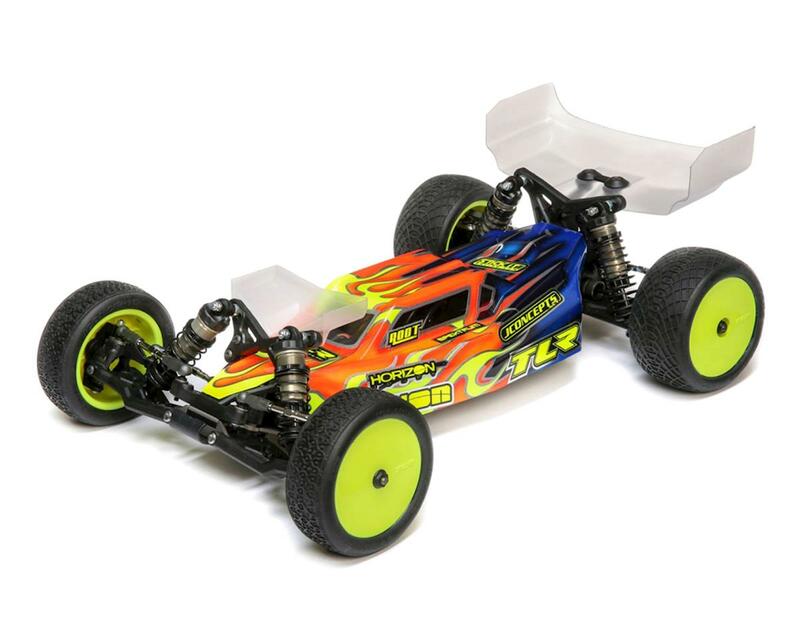 Direct Drive System: Included is TLR's innovative and maximized Direct Drive System (DDS) with an ultra-light and short layshaft, aluminum spur gear hubs, and a 72T molded spur gear. By eliminating the slipper assembly, several grams of rotating mass are removed, and there is no power lost with the motor driving the spur but not the transmission. You will feel the extra snap and torque when exiting turns and accelerating over hard to clear jumps. G3 12mm Big Bore Shocks: The G3 shocks have been completely revamped and improved. The main performance improvement comes from changing to a 3.0mm shock shaft diameter, the 22 5.0 feels "alive" around the track while also landing better with an improved compression/rebound balance. Other improvements include: Screw mounted pistons, redesigned molded shock caps, thinner shock collar which give 3mm more spring adjustment, locking eyelets and spring cups, -3mm, 0mm and 4mm spring cups, easy to install shock end balls, standard and +2mm length eyelets. Fully Updated Ball Differential: Using all of the revised components from the 22 2.0 ball differential, the 22 5.0 diff delivers super-smooth, long-lasting performance. Improvements include a larger diameter diff screw, harder, longer lasting thrust washers, and a stiffer diff spring for improved durability and thrust assembly life. Other features include tungsten carbide diff and thrust balls, a one piece nut, and a self-centering diff gear. 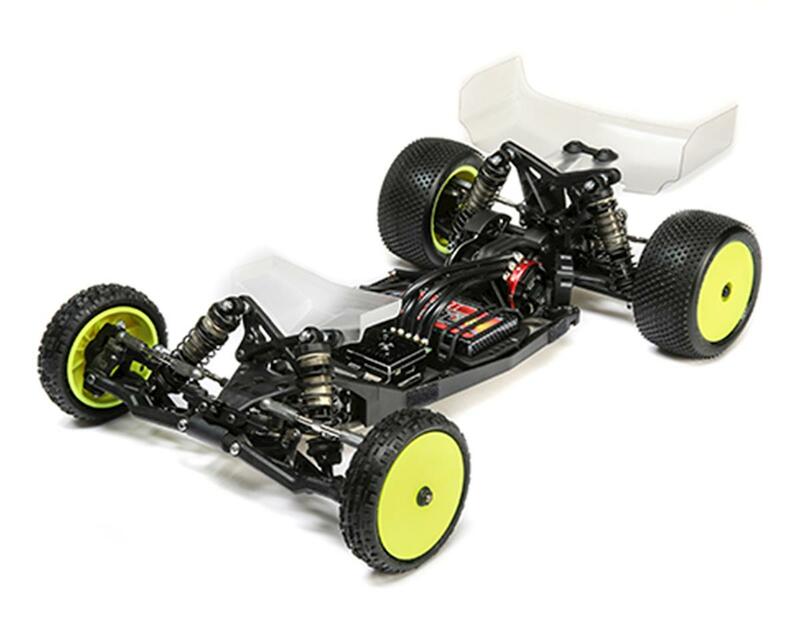 Lightweight 22 5.0 Body: Maintaining the excellent balance, grip, and stability of the 22 4.0 body with a similar styling, the 22 5.0 Lightweight (LW) body is pulled from 0.7mm PC plate to keep the center of gravity (CG) low, and the static weight even lower. 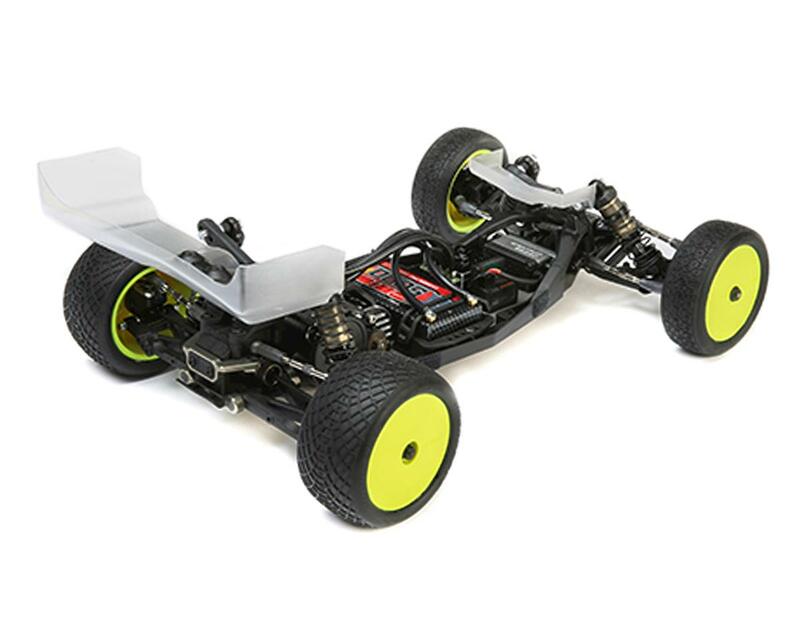 As with all TLR bodies, the 5.0 body will be precut in the kit. Diff Height Adjustment: The 22 4.0 included diff height adjustments including 0 and +3.5mm settings. The 22 5.0 SR includes 0 and +1mm heights to optimize bone angle and bone plunge for different grip levels. Redesigned Front Camber Block: The front camber block adds a third camber link option between the tradition inside and outside holes. The position provides the best balance of steering and stability in many conditions, and allows the 22 5.0 to be more dialed-in on more different grip levels. Optimized Composites, Stiffezel: The balance and consistency of the 22 5.0 can be tuned using different composite materials in key parts throughout the vehicle. 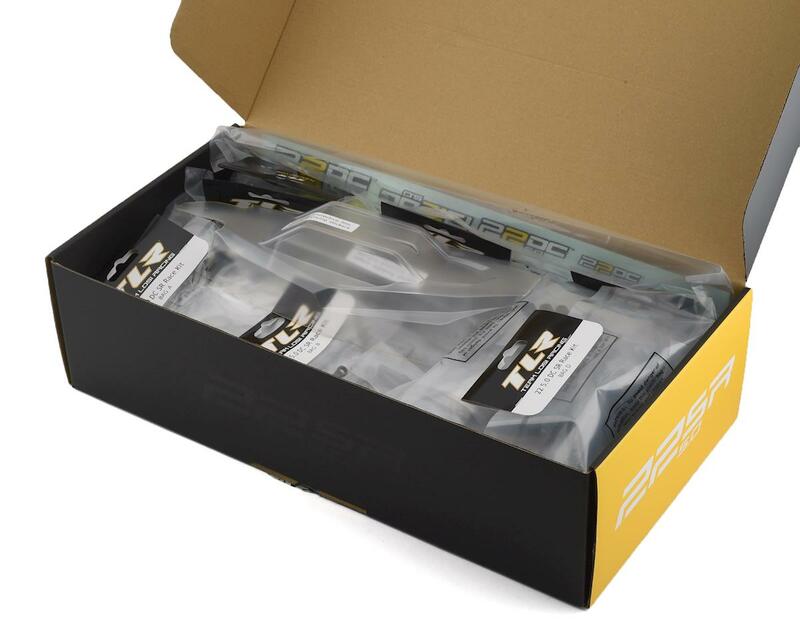 The kit included the parts the race team prefers: Stiffezel front suspension arms, soft rear suspension arms, standard mud guards, and standard waterfall. Adjustable Rear Shock Location: The rear shock tower can be flipped for a forward or rearward bias. This means the G3 rear shocks can be mounted in front of the rear tower and suspension arm, or in the traditional location on the back of the arm. This is a popular tuning option for high-grip surfaces that increases forward weight bias, rear end stability, and landing ability. Narrow Idler and Diff Gears: To reduce weight and friction in the driveline, the 22 5.0 idler gear and main diff gear have both been CNC machined to be substantially narrower. The impact on the track is noticeable with quicker acceleration and less drag at top speeds.